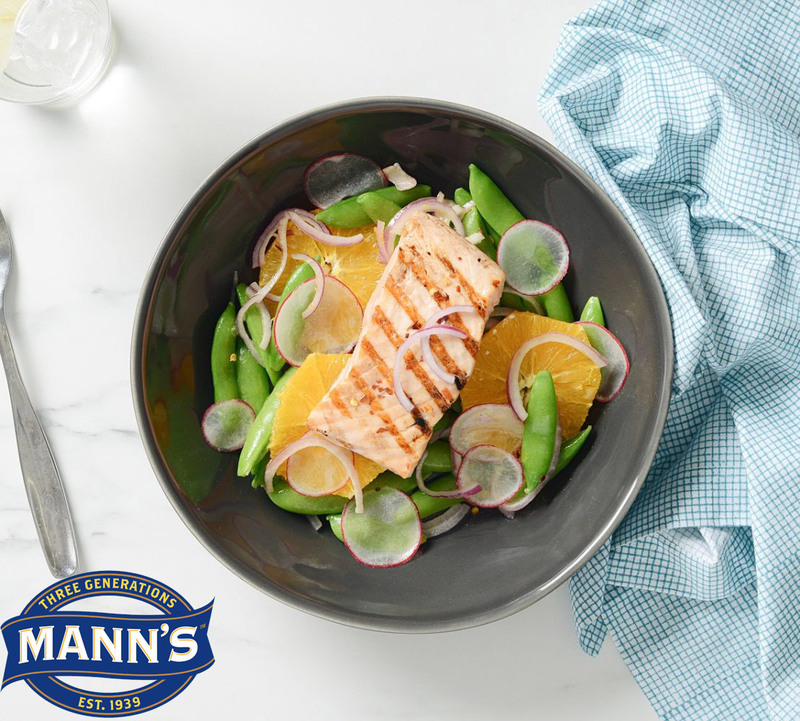 Wonderfully flaky and protein-packed grilled salmon on top of this snap pea and orange salad makes for a very fresh and tasty lunch! Whisk together orange zest, orange juice, olive oil, Dijon mustard, honey, garlic, salt, pepper and hot pepper flakes. Reserve half of the dressing; set aside. 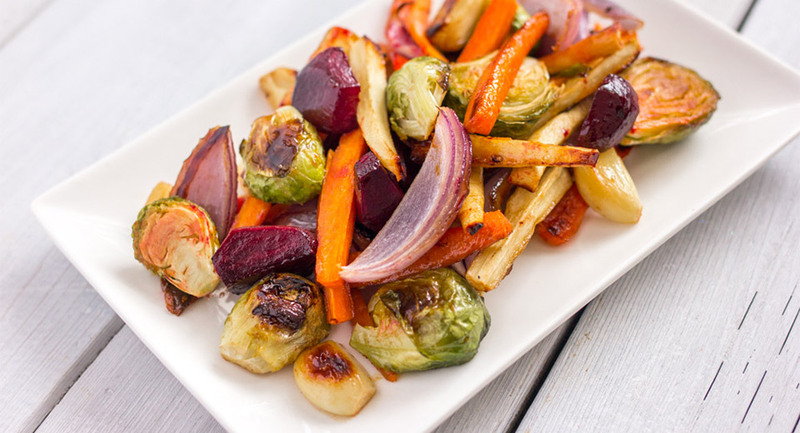 In resealable plastic bag, combine remaining dressing with salmon; refrigerate for at least 10 minutes or up to 1 hour. 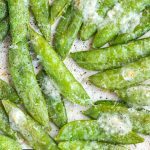 In pot of boiling salted water, blanch snap peas for 1 to 2 minutes or until tender-crisp. Refresh under cold running water; drain and pat dry with paper towel. 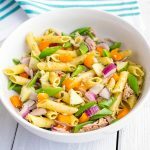 Toss snap peas with reserved dressing; stir in oranges, radishes and red onion. Meanwhile preheat grill to medium-high heat; grease grate well. Grill salmon for 4 to 6 minutes per side or until fish just starts to flake. Divide salad among 4 plates; top with salmon. 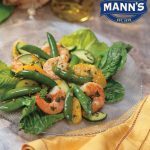 This recipe was kindly provided by our featured member, Mann’s!